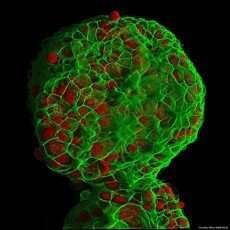 The researchers studied triple-negative breast cancer cells, which grow and spread faster than most other types of cancer cells. It is called triple negative because it lacks receptors for the hormones estrogen and progesterone and makes little of a protein called HER2. As a result, it resists common treatments—which target these factors and has a higher-than-average mortality rate. The researchers discovered that the appearance of asparagine synthetase—the enzyme cells used to make asparagine—in a primary tumor was strongly associated with later cancer spread.